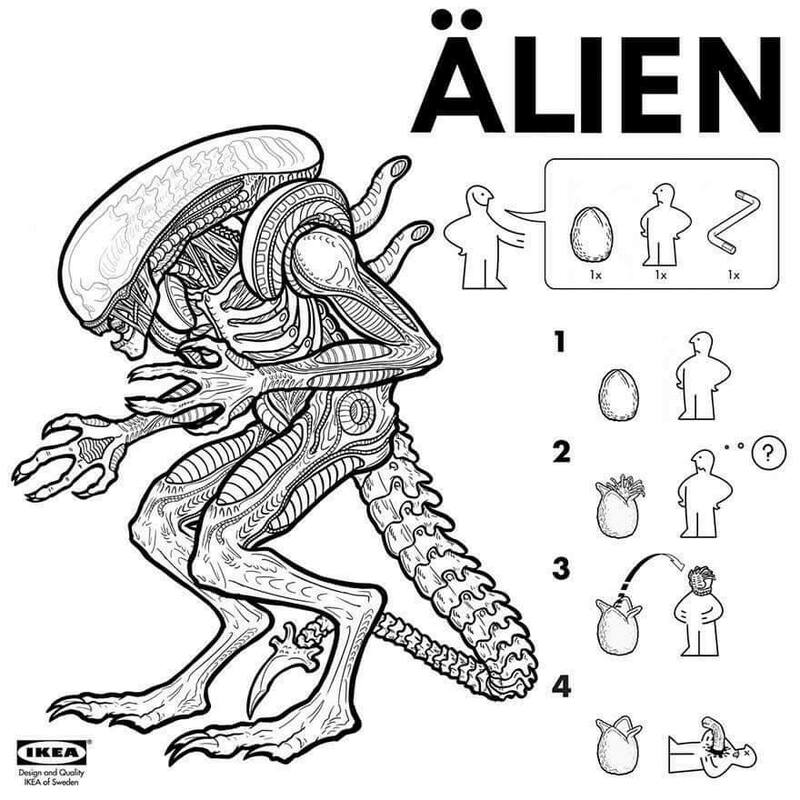 We’ve collected a bunch of IKEA Hacks for you – the horror edition, of course. The weekend is perfect for little projects and IKEA hacks tend to be a smart and cheap way to do more with less. 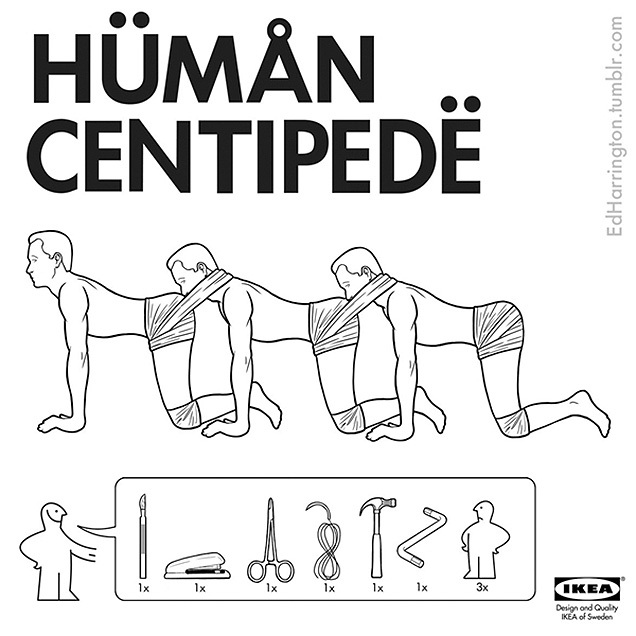 However, this is not an interior design or home improvement website, so our IKEA hacks are a bit… umm, different. Basically, they’re messy and – generally – impossible to do without seriously harming or incriminating yourself, so unlike any other site sprouting IKEA hacks, we’d like to give you these little “guides” with a big ol’ “Do not try this at home” warning up front. Still, do enjoy… Who are you kidding?! You know you will. 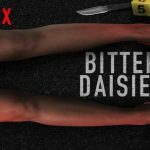 All it takes is a scalpel, a hammer, a whole lot of nails. Then you’re well on your way to having your very own Cenobite. 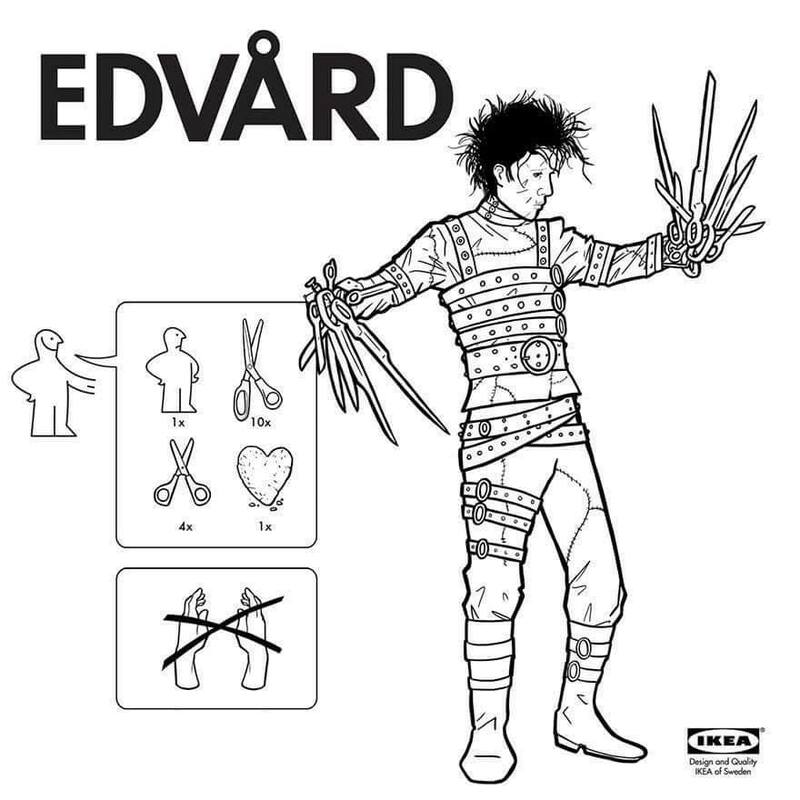 isn’t that exactly how Edward Scissorhands was made in the movie? This one’s a bit more tricky with many steps you can mess up. 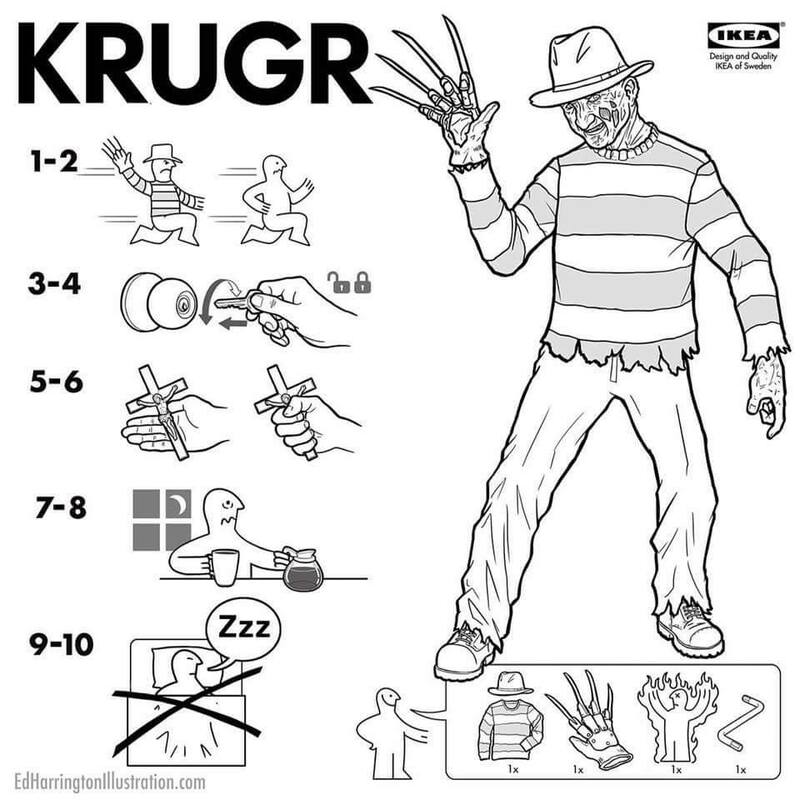 One part of this IKEA hack is surviving your KRUGR while the other is “simply” building a Freddy. On paper it’s the most simple IKEA hack, since you don’t actually have to do anything. 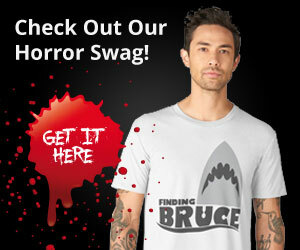 Well, except for finding a juicy alien egg and allow its content to use you as a surrogate womb. Doesn’t that just sound lovely? 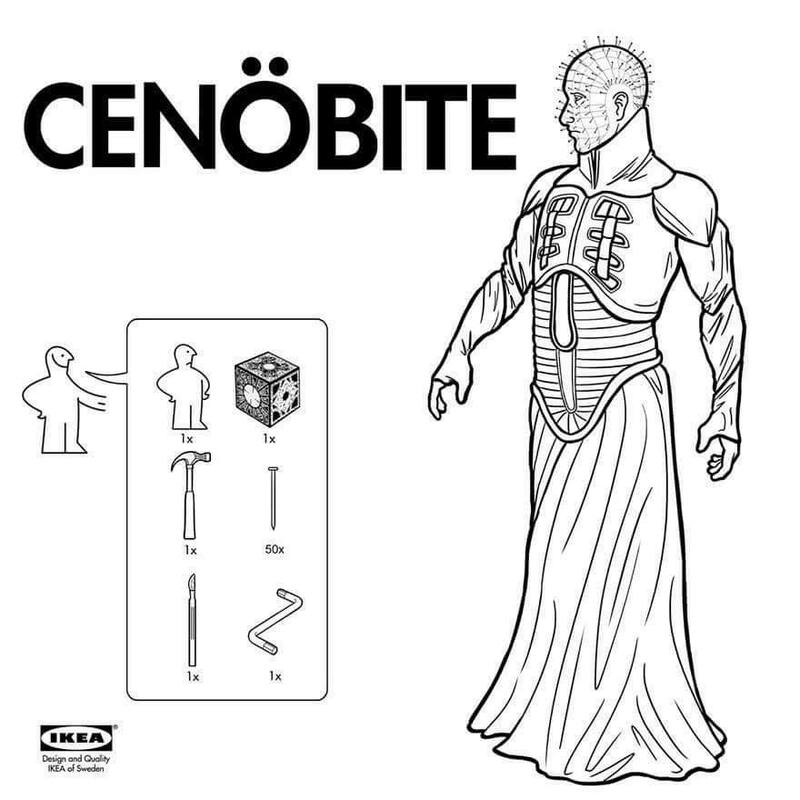 Now this is an IKEA hack I can get behind, since it simply requires watching a horror movie on TV. Now, if only I still had my VCR. 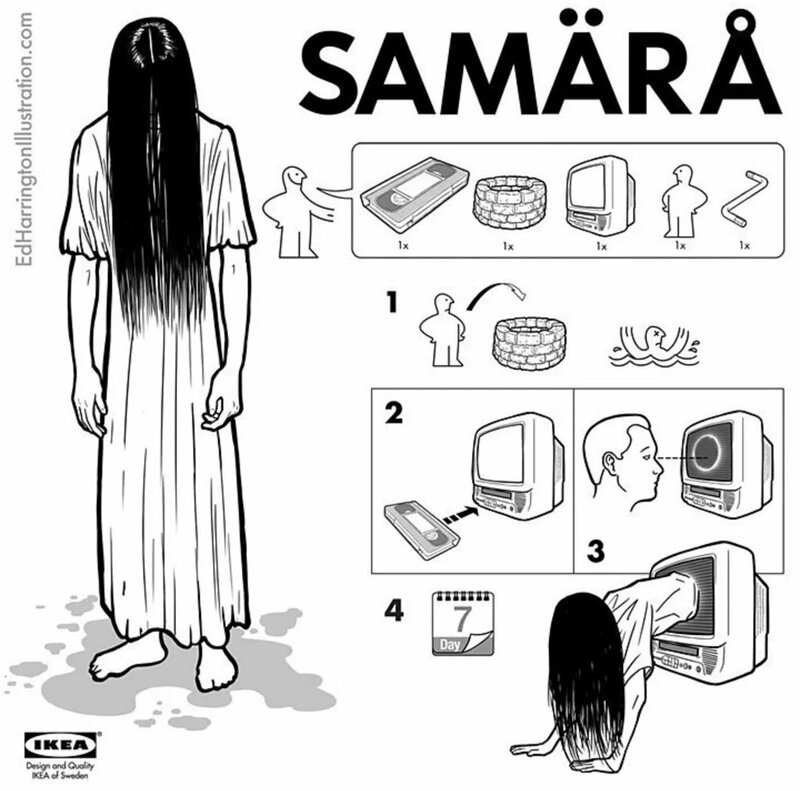 Maybe the upcoming The Ring movie will explain the modern way to get your own Samara. 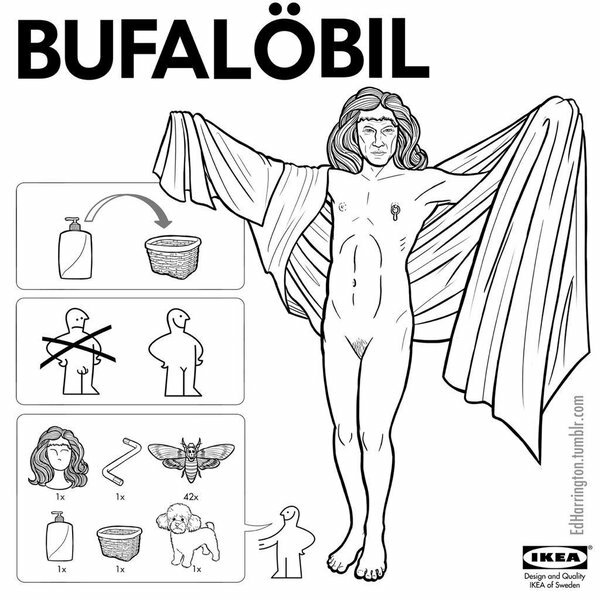 Yup, that’s the gist of getting your own Buffalo Bill! And no Buffalo Bill without Hannibal, of course. Though somehow, this sounds more like the recipe for a date than an IKEA hack. Then again, the date would end with you being eaten – and not in any good way! Again, a hack that doesn’t require much from you. 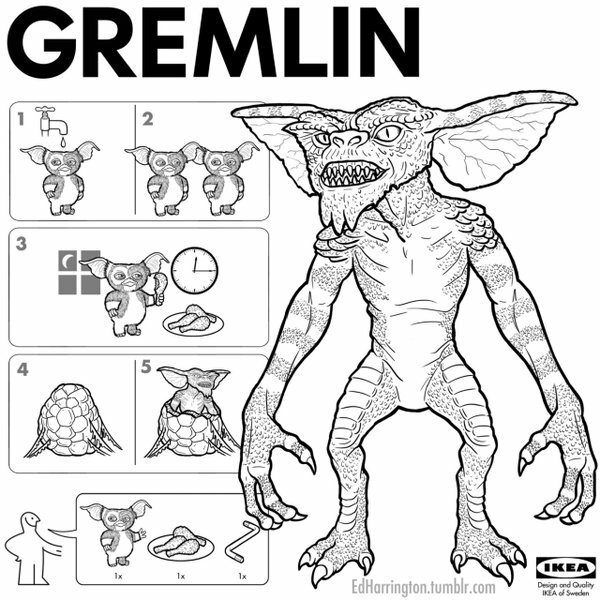 Just add water and feed it after midnight. The rest is on autopilot! 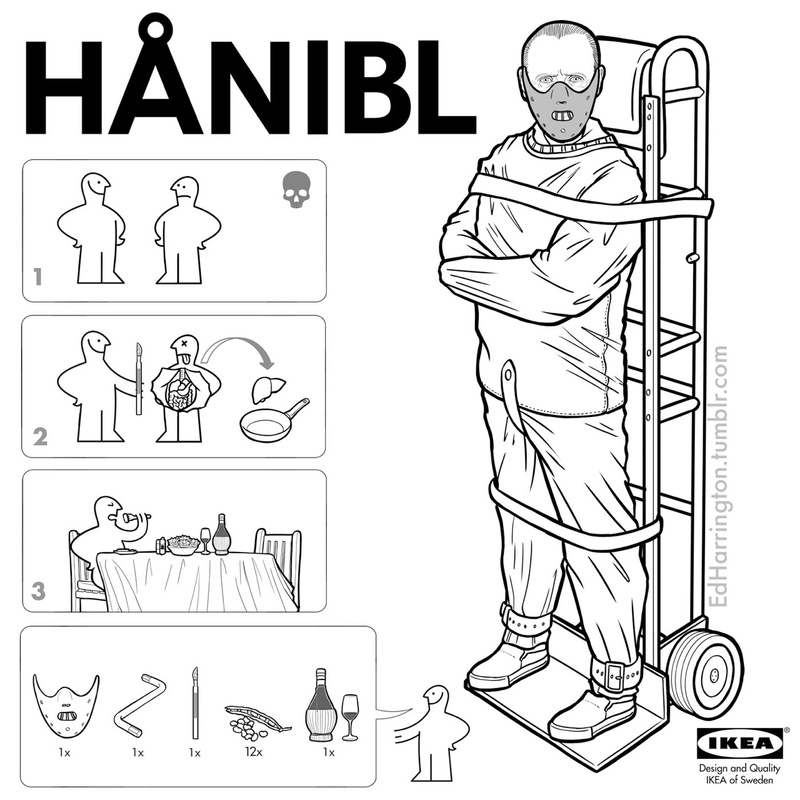 And the first horror IKEA hack I ever saw, which is probably my favorite. All you need is a little help from your friends. Please note: These IKEA hacks are not our designs. All illustrations are by Ed Harrington and you can watch even more of his amazing creations on his Tumblr right here!